Fortnite is the game that keeps on giving, and from its humble beginnings in late 2017 it has grown to become a global phenomenon which is played and enjoyed by millions of people worldwide. And one thing which has kept players coming back for more are the games weekly challenges. 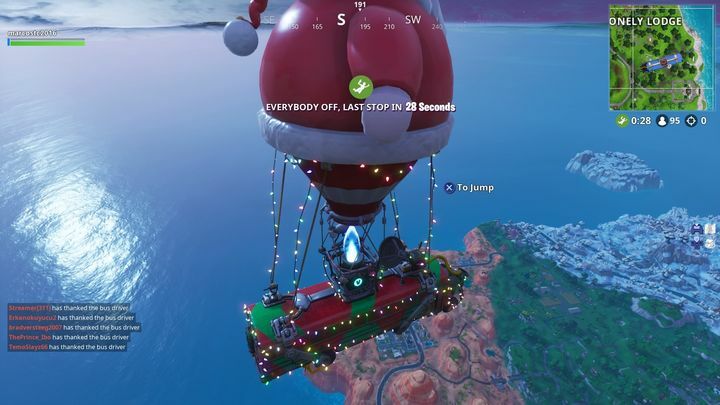 After season 7 kicked off a few weeks ago these challenges have taken on a more festive air, featuring Christmas trees and candy canes, while one of the challenges corresponding to week 4 is likely to put you in a “New Year” mood. Actually, this challenge involves launching 3 fireworks in the game (the other two challenges, “Use an X-4 Stormwing plane in different matches” and “Eliminate opponents at Expedition Outposts” will keep you busy for a while too). 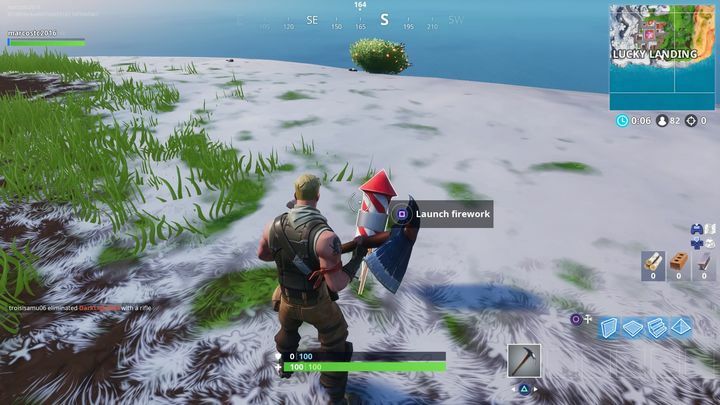 But let’s go back to the fireworks challenge, which simply involves locating the fireworks in the game’s map and hitting a button to launch them. These are not a weapon or anything that can damage other players, but do look pretty when they blow up in the sky, though. In order to complete the challenge, you’ve got to launch three of these. See the map below for locations where you can find fireworks on Fortnite’s map. 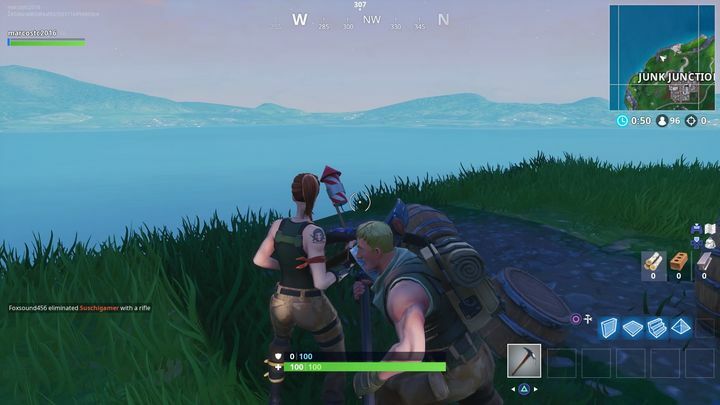 These locations are the following: south of Lucky Landing, northwest of Junk Junction and northeast of the Wailing Woods. 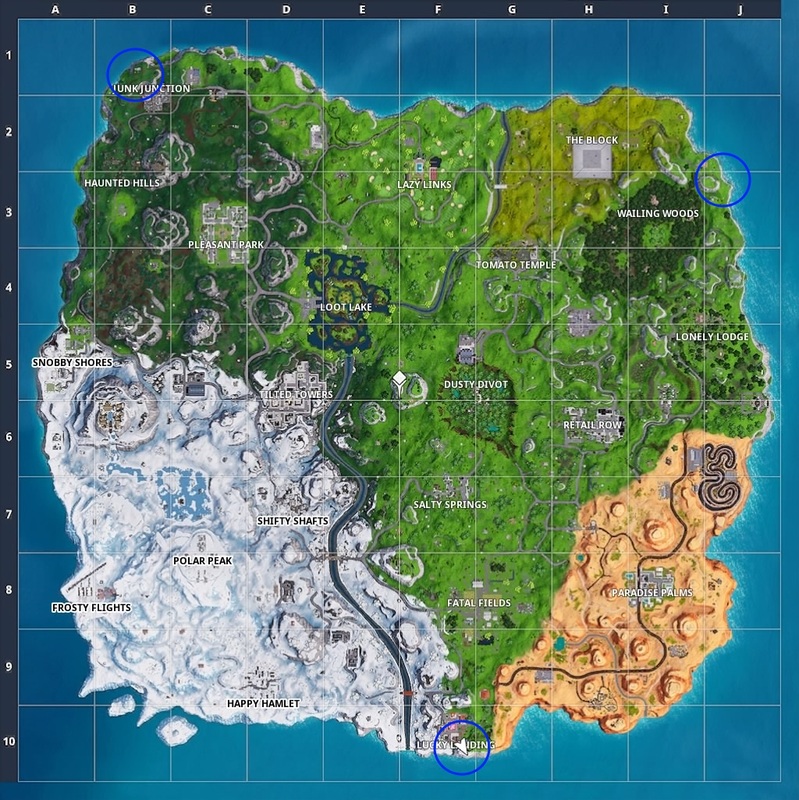 The blue circles on the map will give you an idea of where to search in order to find the fireworks (see the screenshot below for the precise location of the firework near Lucky Landing). Also, and as the image at the bottom of this article suggests, it’s a good idea to mind your surroundings when attempting to launch the fireworks. I got fragged when trying to launch a firework next to Junk Junction, reminding me what a cutthroat, competitive game Fortnite is… It’s also great, of course, and with more challenges coming in the next couple of weeks (and surely several new surprises in time for New Year’s Eve), the next few days will surely be exciting for Fortnite players the world over.